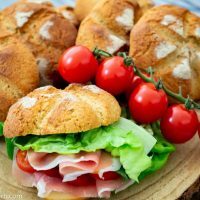 Home Tags Posts tagged with "#bread #buns"
Those Low Carb Yogurt Buns are the perfect replacement for white buns or bagels and in our Low Carb or Keto lifestyle, they are unrecognizable from the original ones. 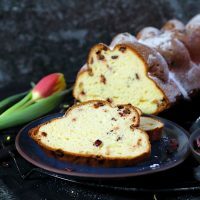 They are the first buns we love, adore and can have any time of the day, either with something salty or also as a sweet variation. 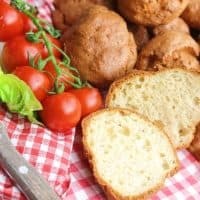 This is my first bread recipe on the website, even though for us it was the most important part of going completely low carb. Can Low Carb Buns be frozen? That is what I do all the time. Always double the batch and once all the buns are cooled, I keep few out for the next 2 days and the fest goes straight into the freezer. How long can you store buns? Definitely not longer than 2 or 3 days. Since they are made fresh and without added preservatives, they will not last very long outside. I always just take 2-3 pieces from the freezer to have it for the next 2 days. 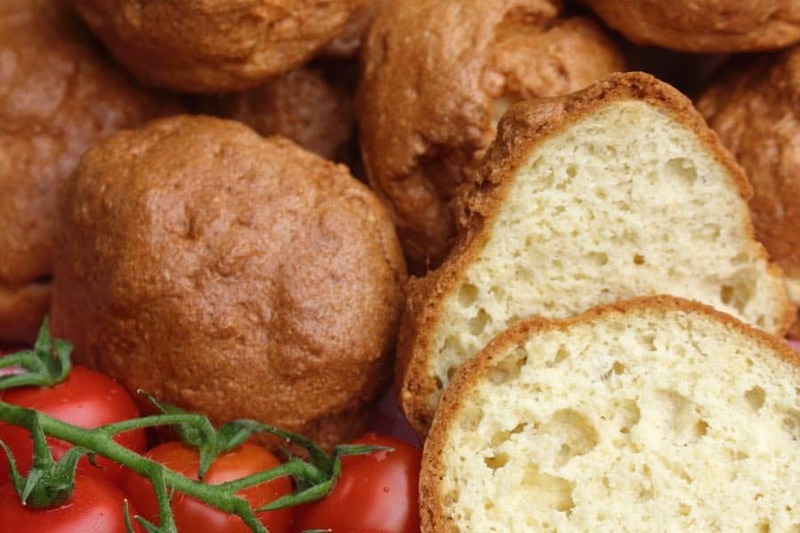 What are those low carb buns made of? The base of the recipe is almond flour or grained almonds, but additionally, I have used Protein powder unflavored and xanthan gum as well. Do not try to change the ingredients, because you will not get that same consistency. And then it would be a different variety of buns. Those buns go perfectly with our famous Keto Egg Drop Soup, which is so easy to make and it just transforms a normal broth into something extraordinary. And a perfect spread is Tuna Mix added with Caviar to wow everyone. Or have it as addition to Cloud Eggs. How do you start or begin Low Carb or Keto lifestyle eating? It does not always go from a day one. And our story is a perfect example, that sometimes it does need a bit of dedication. Sometimes you just need time, especially if it concerns kids or your husbands, who need a bit of reconfirmation, explanation and proper plannings for their transformation into a Low Carb way of living. As we were going completely down with carbs, I have slowly started eliminating all the side dishes like potatoes, rice, pasta etc and either trying to replace them with low carb version or omitting them completely. First went reducing it in portions and later followed by removing it completely. All of it worked except bread. Bread was for us the biggest hurdle. I just could not find any type, which Sophie would like. I have tried at least 20 recipes, all of which were refused. 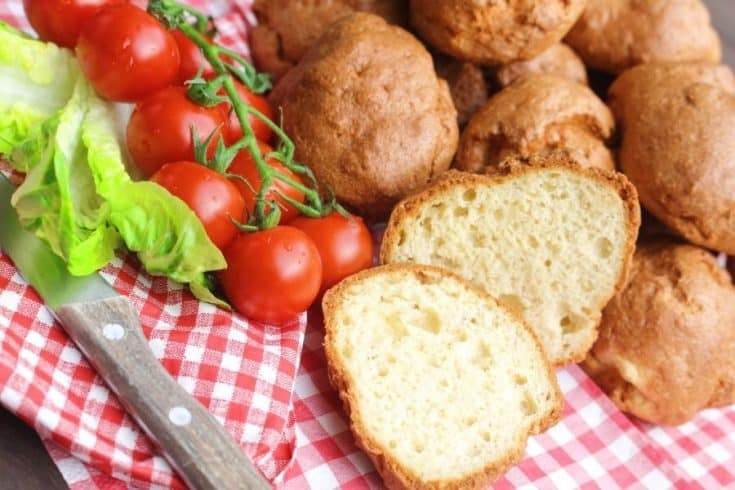 Until a friend of mine suggested to completely remove bread for a certain period and then reintroduce the low carb version. It did work. Well, it was not like ” Woho that is awesome”, but it was kind of accepted. And since we did not have any other (normal ) bread in the house, there was no option to go back. We used to do “Taste competitions”, where I baked 5-6 different variations and each. Then divided them into plain, toasted, buttered, oiled etc just to make it more exciting for Sophie. I then cover her eyes (as we know seeing is part of like/dislike choice) and we all try each and give points. The one with most wins and that is then baked for a while. She still loves those competitions and this is how we find what to use for the next few months if she gets bored of old choices. 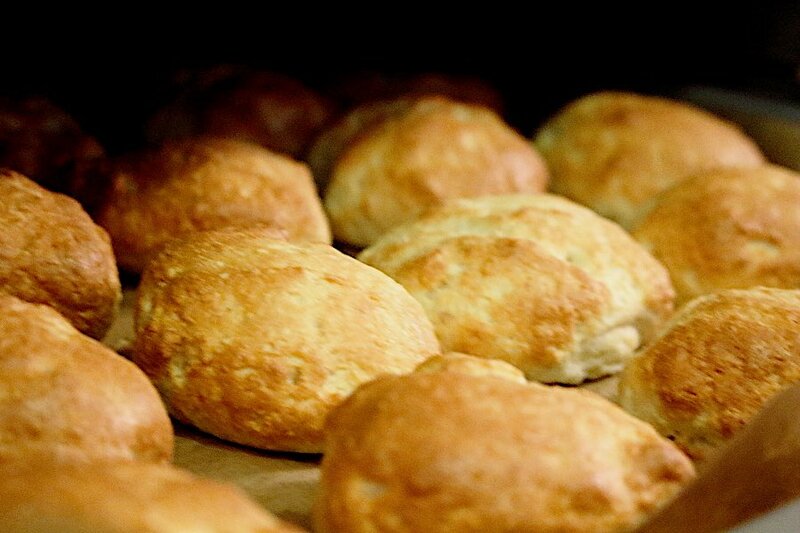 Those buns are our choice at the moment and all I do is to bake them in big batches. After they are cooled, place in the freezer and then every day take few pieces. In that way, it always stays fresh (since homemade products do not last for long as we know). Buns types are also more popular for us because Sophie is the only one, who eats bread on a daily basis and therefore it is much easier to store them in the freezer. 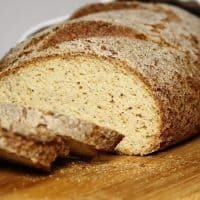 Since I wrote this recipe, we have found another BEST Keto Farmers Bread Recipe, which is now prioritized most of the time. So at the moment, our freezer contains both, and I alternate those all the time. One point to the recipe I have just realized. 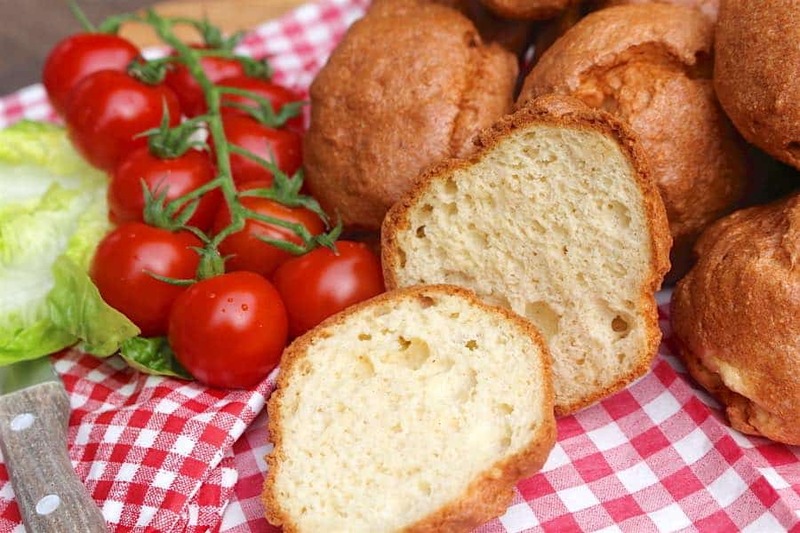 We hardly ever eat bread on a sweet side, but from time to time we do, and on those occasions, we either add some sort of low carb berries spreads or Nutella or Peanut Butter and therefore I would suggest not to use so much salt in the recipe. Sometimes little goes a long way. If you would like to make your own Jogurt to be added to this recipe, have a look at our easy and fast way to make the freshest ever Keto Instant Pot Greek Yogurt. Whisk egg yolks. Once whisked, slowly start adding wet ingredients mixture and dry ingredients mixture. I try to alternate with 2 spoons each to get a nice crumb-free consistence. Once all combined, add whisked egg whites and gently mix all together on a low setting. This gives them the fluffy flavor. With wet hands roll into circa 20 small buns and placed it on a baking tray covered with parchment paper. At the end I still press each ball into a bun so they get the nice bun like look. Do let me know in the comments below how you like it.